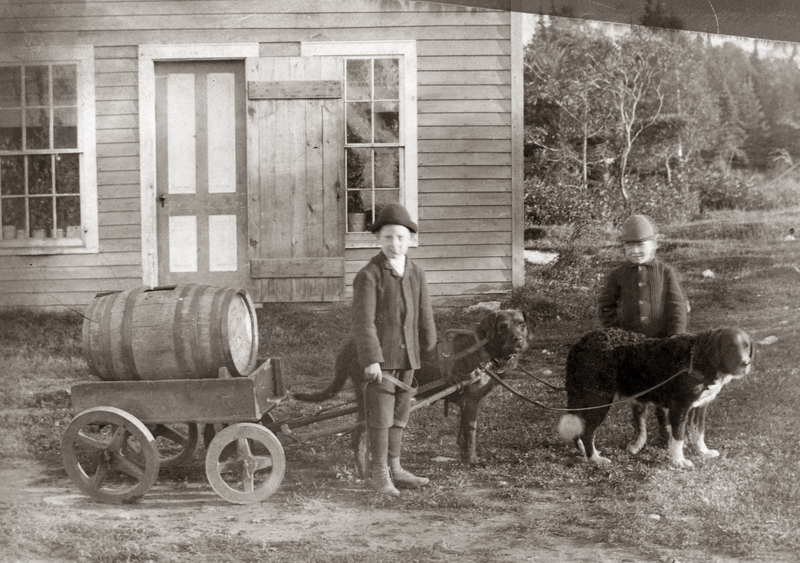 Description Photo of 2 boys, cart, dog. Address of house was 307 Durham Street. Child on left is likely Daniel Munro.